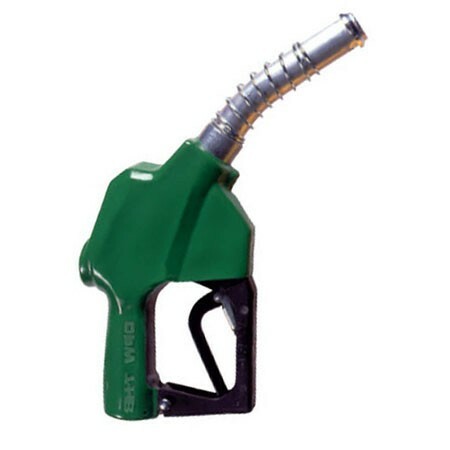 OPW 1290-0050 Bulk Automatic Shut-Off Diesel Nozzle is an excellent choice for heavy-duty, high-flow truck, bus and home fuel oil delivery service applications. Comes standard with 1.5 inch NPT inlet for leaded fuel. GPI 110155-3 is a 1" NPT manual leaded nozzle for use with M-150S, M-180S & M-240S 12V & 24V Electric Gear Pump. 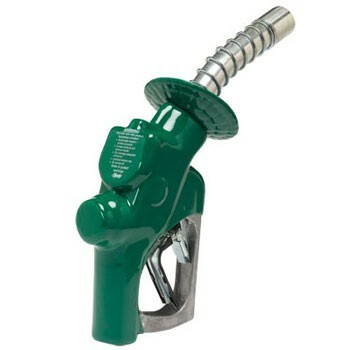 GPI 110376-01 is a 1" NPT Automatic Diesel Nozzle for use with diesel fuel only. Designed for pumps with a minimum flow rate of 20 GPM (75 LPM). 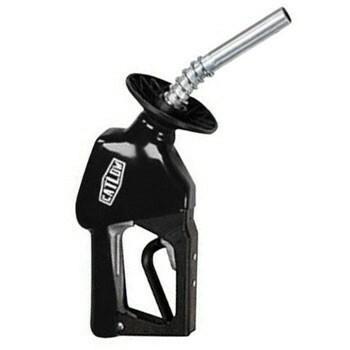 GPI 110376-01M12 is a 1“ NPT Automatic Diesel Nozzle (12 Pack) for use with diesel fuel only. Designed for pumps with a minimum flow rate of 20 GPM (75 LPM). 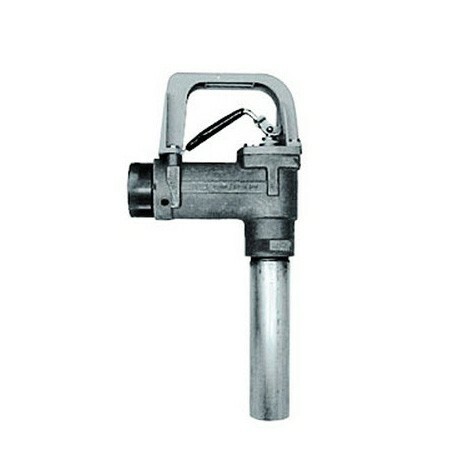 GPI 906001-6 is a 3/4" NPT manual leaded nozzle with straight spout for M-3120 115V Heavy Duty Pump. GPI 906001-10 is a 1" NPT manual leaded nozzle with straight spout for M-3130 115V & 230V Super Duty Pump. 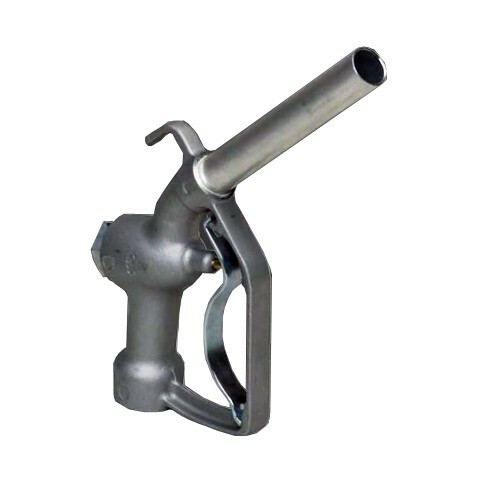 GPI 906004-98 is a 3/4" NPT automatic UL Listed leaded nozzle, with curved spout for M-3120 pump. 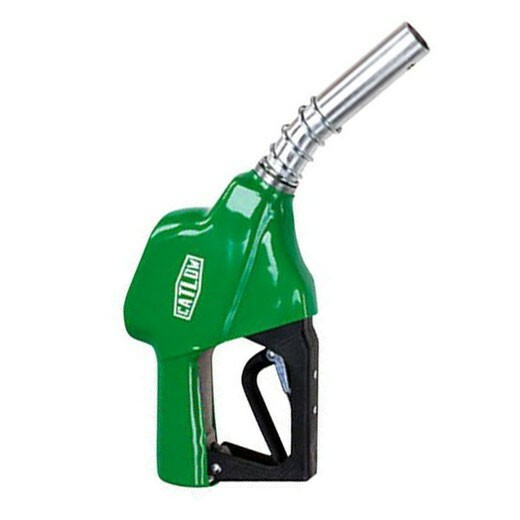 GPI 906005-1 is a 1" NPT automatic UL Listed diesel nozzle with curved spout for M-3025 & M-3130 pumps. 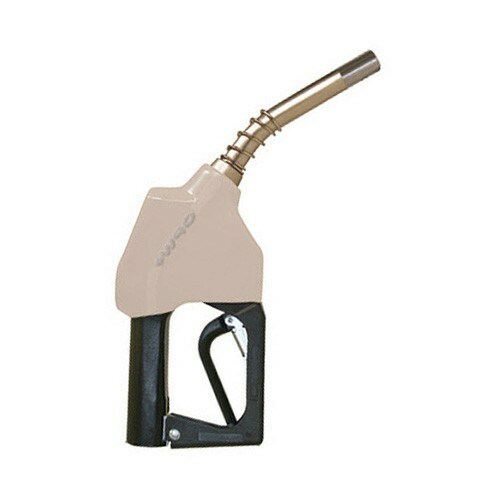 Catlow NEPL 3/4" Elite Prepay Leaded Automatic Shut-Off Nozzle is designed for self-service or card-lock systems. 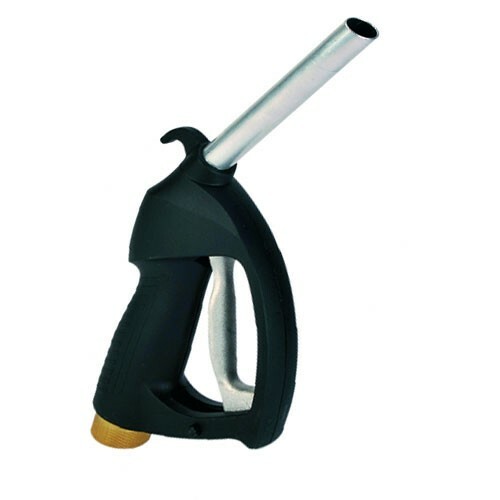 The lightweight, single body sand cast aluminum construction produces a smooth working, rugged nozzle specifically designed for endurance. 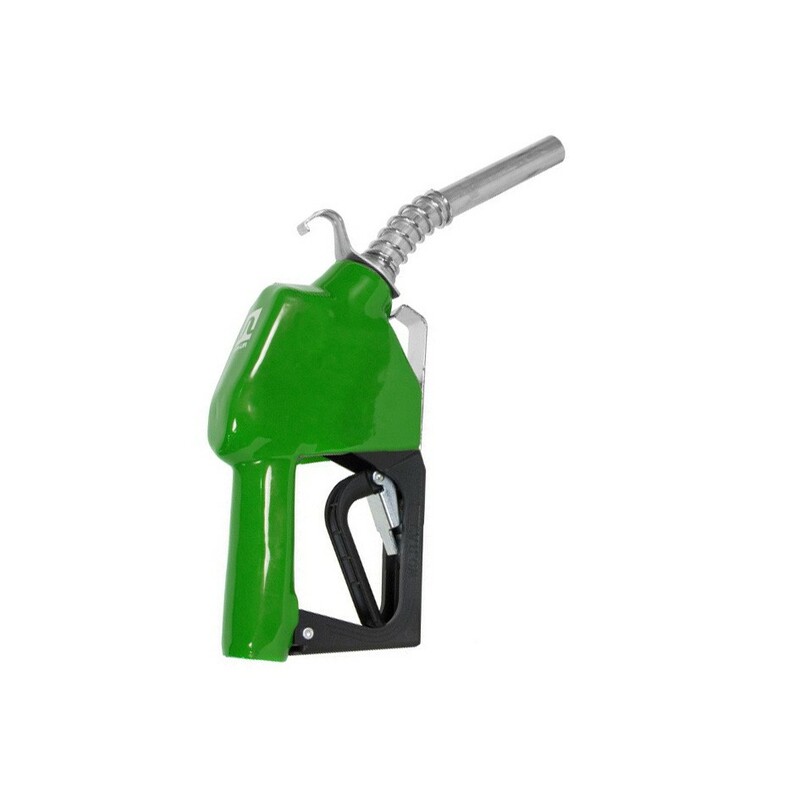 The 7H-0100 Green High Flow Automatic Diesel Nozzle with Spout Ring is an excellent choice for heavy-duty, high-flow truck, bus and fleet service applications. Comes standard with 1 inch NPT inlet for leaded fuel. Delivers product at rates up to 34 GPM. 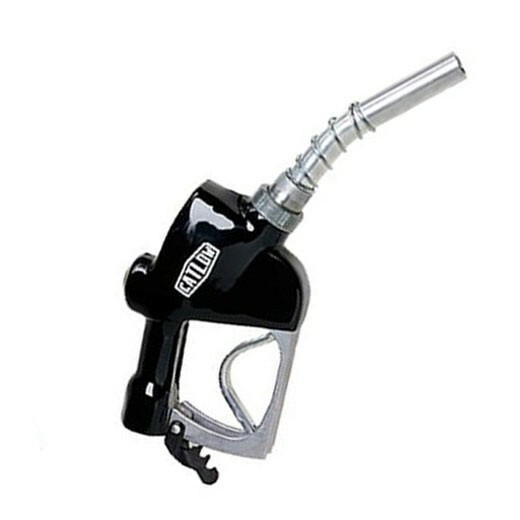 The 7H-0400 Black High Flow Automatic Diesel Nozzle with Spout Ring is an excellent choice for heavy-duty, high-flow truck, Bus and Fleet Service applications. Comes standard with 1 inch NPT inlet for leaded fuel. Delivers product at rates up to 34 GPM. 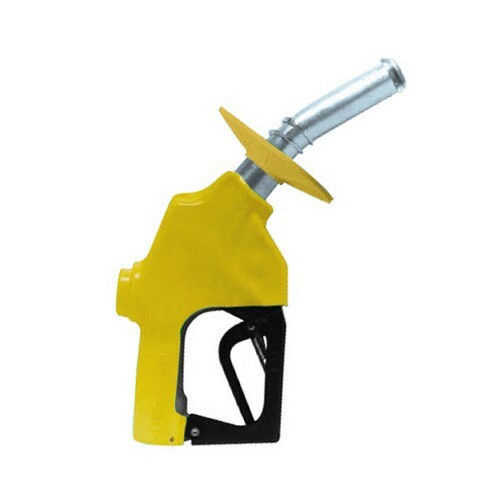 The 7H-0900 Yellow High Flow Automatic Diesel Nozzle with Spout Ring is an excellent choice for heavy-duty, high-flow truck, Bus and Fleet Service applications. Comes standard with 1 inch NPT inlet for leaded fuel. Delivers product at rates up to 34 GPM. 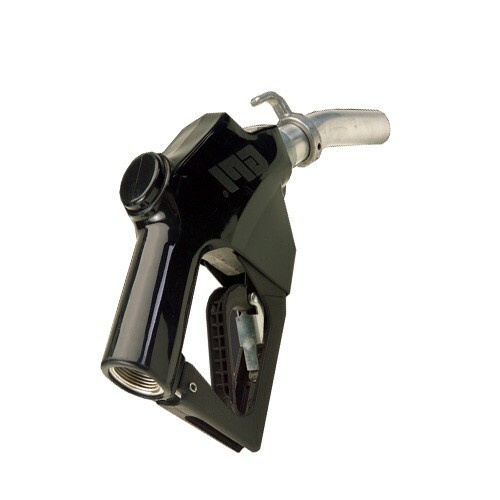 The 7H-5400 Black High Flow Automatic Diesel Nozzle Without Spout Ring is an excellent choice for heavy-duty, high-flow truck, Bus and Fleet Service applications. 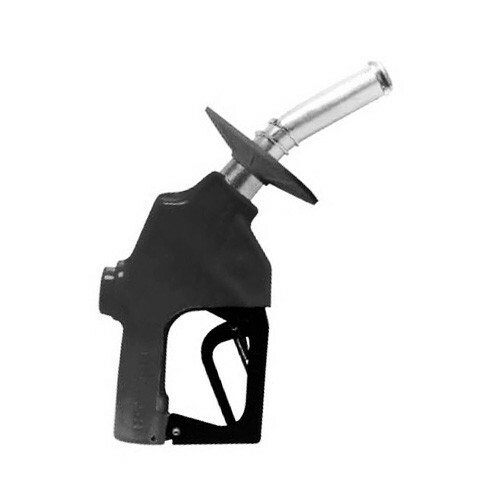 Comes standard with 1 inch NPT inlet for leaded fuel. Delivers product at rates up to 34 GPM. 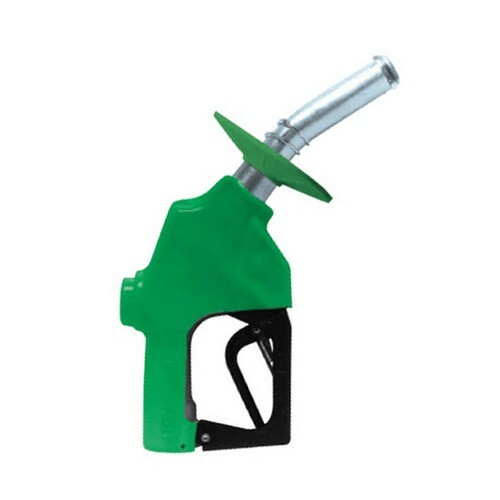 The 7H-5900 Yellow High Flow Automatic Diesel Nozzle Without Spout Ring is an excellent choice for heavy-duty, high-flow truck, Bus and Fleet Service applications. Comes standard with 1 inch NPT inlet for leaded fuel. Delivers product at rates up to 34 GPM. 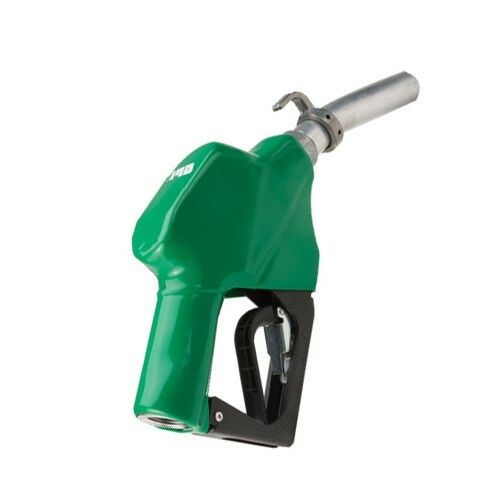 The OPW 11A-0100 Green Automatic Diesel Nozzle is small, trim, lightweight, convenient and easy to use. Comes standard with 3/4 inch NPT inlet for diesel fuel. 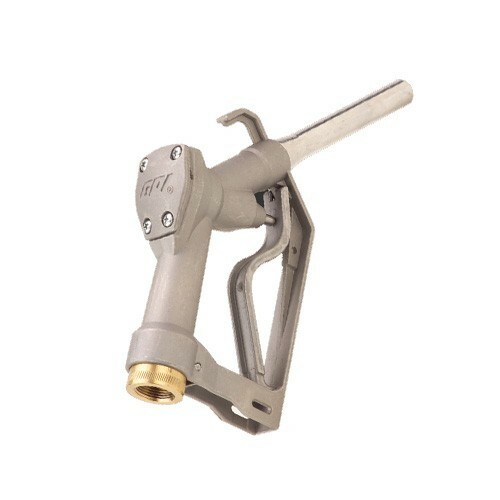 Delivers Leaded product at rates up to 18 GPM. 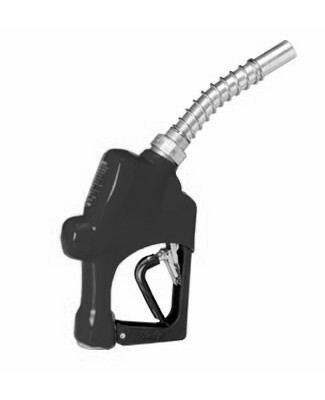 The OPW 11A-0200 - 3/4" Silver Automatic Diesel Nozzle is small, trim, lightweight, convenient and easy to use. Comes standard with 3/4 inch NPT inlet for diesel fuel. 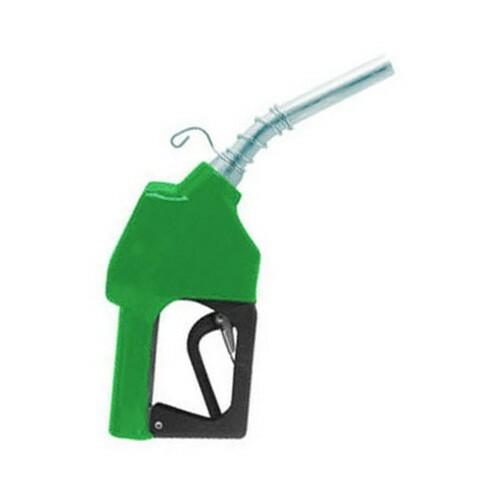 Delivers Leaded product at rates up to 18 GPM. The OPW 11A-0300 Red Automatic Diesel Nozzle is small, trim, lightweight, convenient and easy to use. Comes standard with 3/4 inch NPT inlet for diesel fuel. 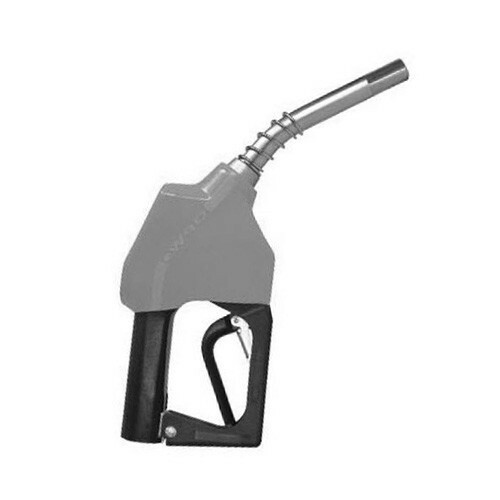 Delivers Leaded product at rates up to 18 GPM. 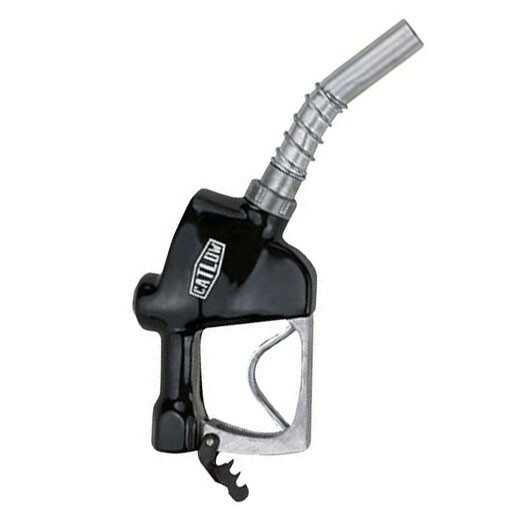 The OPW 11A-0400 Black Automatic Diesel Nozzle is small, trim, lightweight, convenient and easy to use. Comes standard with 3/4 inch NPT inlet for diesel fuel. 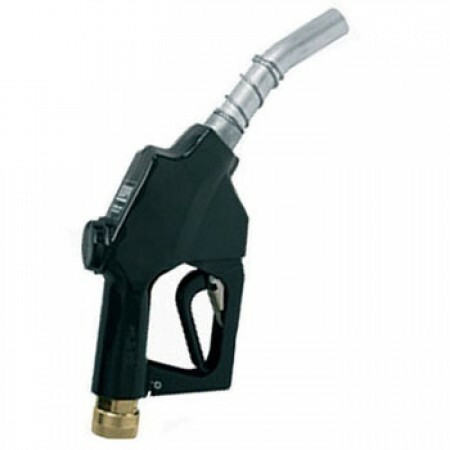 Delivers Leaded product at rates up to 18 GPM. 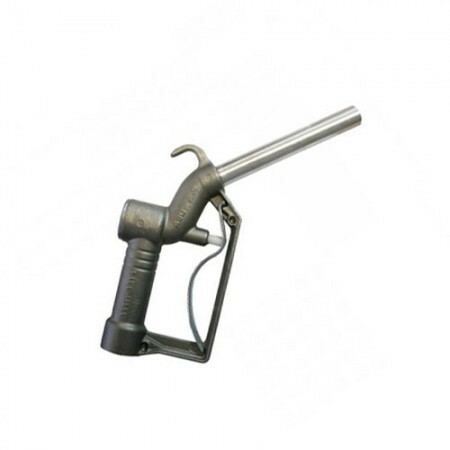 The 7HB-0009NC-XC New Extreme Cold Weather Diesel Nozzle with Clip is an excellent choice for Heavy-Duty, High-Flow Truck, Bus and Fleet Service. Compatible to -54°C [-65°F]. 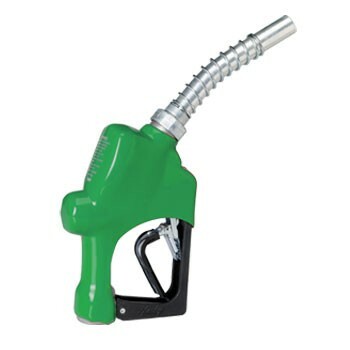 Prevents gasoline spills in prepay or card lock systems utilizing OPW's unique No Pressure - No Flow Device. The OPW 11AF-10FS - 3/4" NPT Green Automatic Shut Off Nozzle w/ Hold-Open Devices is an excellent choice for use in transfer pump. 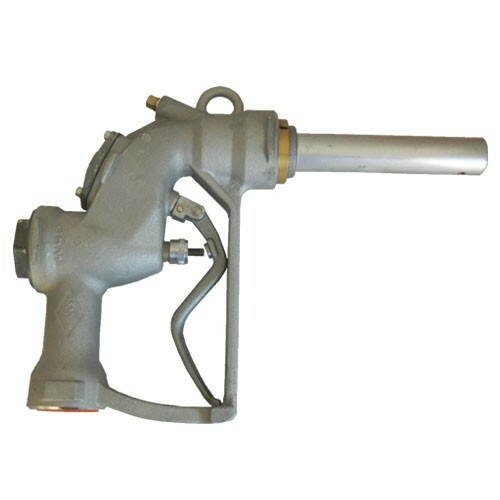 Comes standard with 3/4 inch NPT inlet for diesel fuel, hanger with spring, hold-open rack and trigger. Delivers product at rates up to 15 GPM. The OPW 11AF-300F 3/4"NPT Red Automatic Shut Off Nozzle w/ Hold-Open Device is an excellent choice for use in transfer pump. Comes standard with 3/4 inch NPT inlet for unleaded fuel, standard spring hold-open rack and trigger. Delivers product at rates up to 15 GPM. The OPW 11AF-40FS 3/4"NPT Black Automatic Shut Off Nozzle w/ Hold-Open Devices is an excellent choice for use in transfer pump. 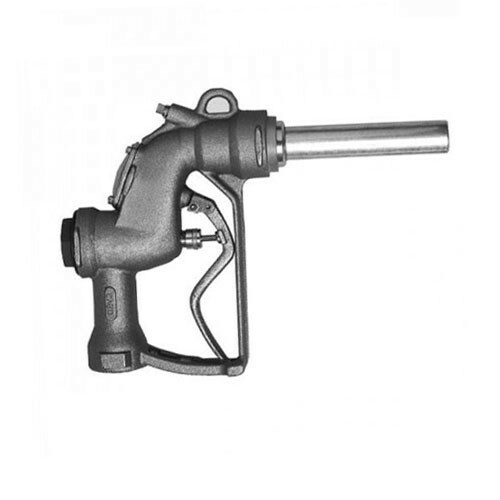 Comes standard with 3/4 inch NPT inlet for diesel fuel, hanger with spring, hold-open rack and trigger. Delivers product at rates up to 15 GPM. 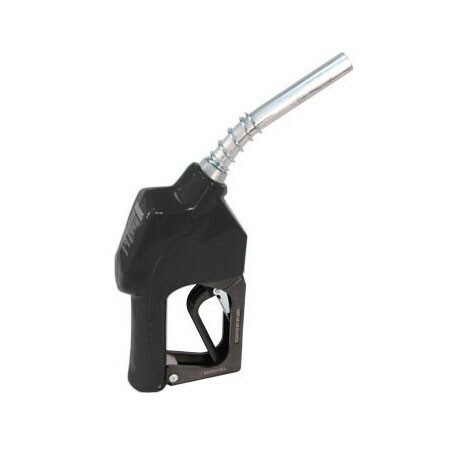 The OPW 11AK-7009NC-XC New Extreme Cold Weather Auto-Diesel Nozzle is an excellent choice for safe retail and commercial petroleum filling. Compatible to -65°F (-54°C). 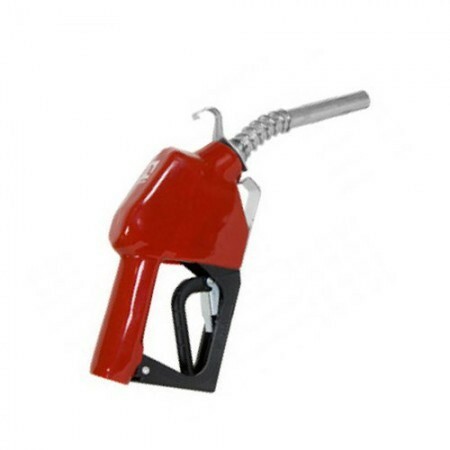 The OPW 11B-0300 Red Automatic Diesel Nozzle is designed for use in retail and commercial filling applications. Comes standard with 3/4 inch NPT inlet for standard Auto Diesel service. Delivers at rates up to 18 GPM. 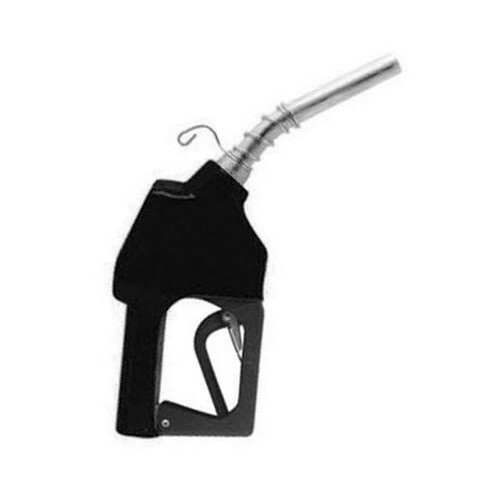 The OPW 11B-0400 Black Automatic Diesel Nozzle is designed for use in retail and commercial filling applications. Comes standard with 3/4 inch NPT inlet for standard Auto Diesel service. Delivers at rates up to 18 GPM. 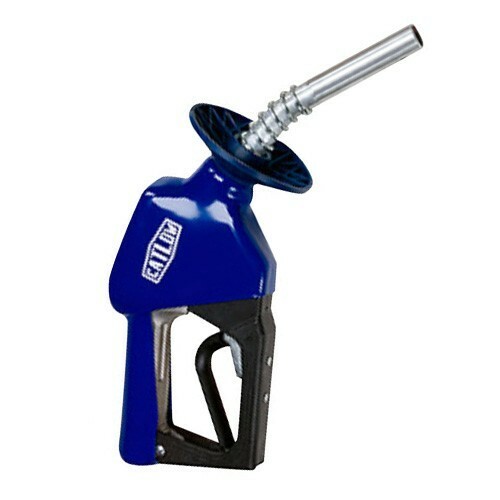 The OPW 11B-0500 Blue Automatic Diesel Nozzle is designed for use in retail and commercial filling applications. Comes standard with 3/4 inch NPT inlet for standard Auto Diesel service. Delivers at rates up to 18 GPM. 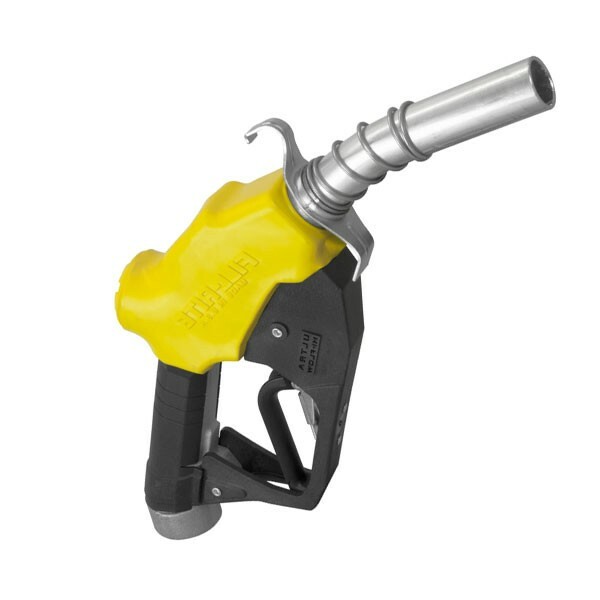 The OPW 11B-0900 3/4" Yellow Automatic Diesel Nozzle W/o Hand Insulator is designed for use in retail and commercial filling applications. Comes standard with 3/4 inch NPT inlet for standard Auto Diesel service. Delivers at rates up to 18 GPM. 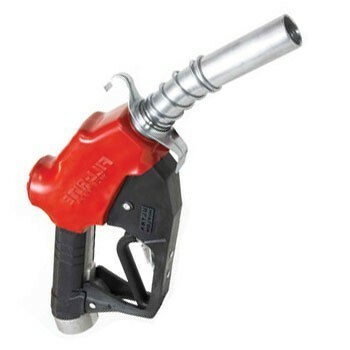 The OPW 295SC-0139 - 1 1/4" High-Flow Nozzle is for high-flow, bulk fuel oil delivery service. Comes standard with 1 1/4 inch NPT inlet for fuel. The OPW 295SC-0141 - 1 1/2" High-Flow Nozzle is for high-flow, bulk fuel oil delivery service. Comes standard with 1 1/2 inch NPT inlet for fuel. 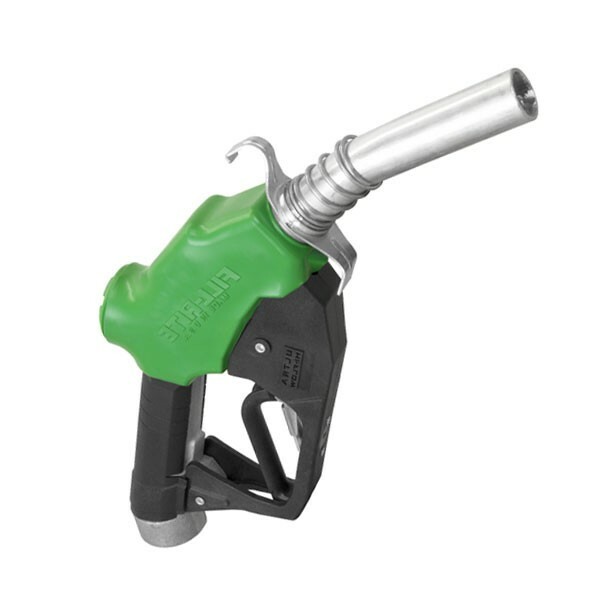 The OPW 11B-0100 Green Automatic Diesel Nozzle is designed for use in retail and commercial filling applications. Comes standard with 3/4 inch NPT inlet for standard Auto Diesel service. Delivers at rates up to 18 GPM. 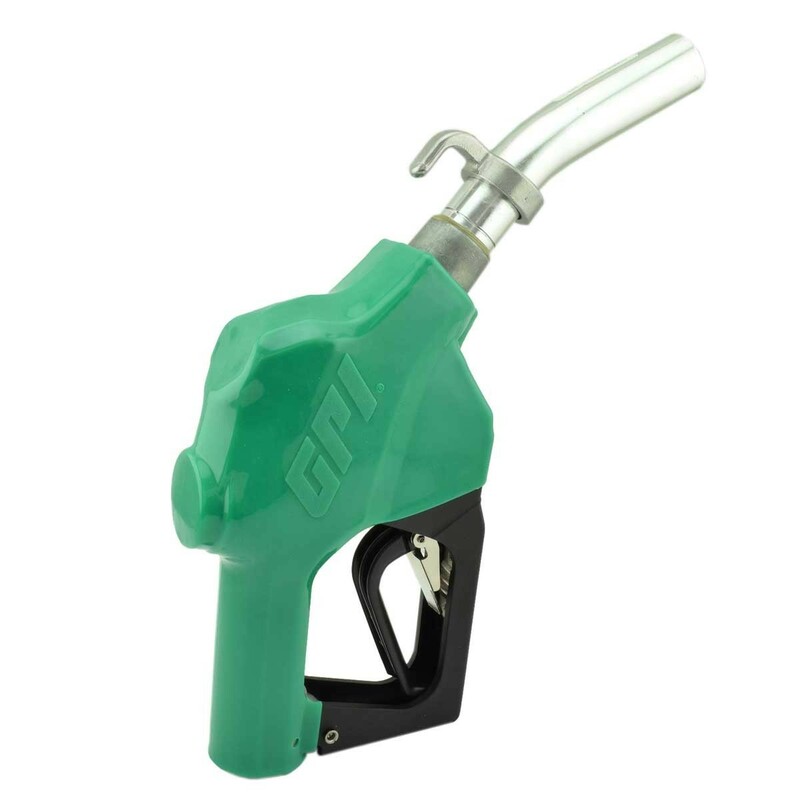 GPI 906008-570 is an Automatic Diesel Shutoff Fuel Nozzle, designed to attach to a 1 Inch fuel hose for safe and reliable fuel dispensing. 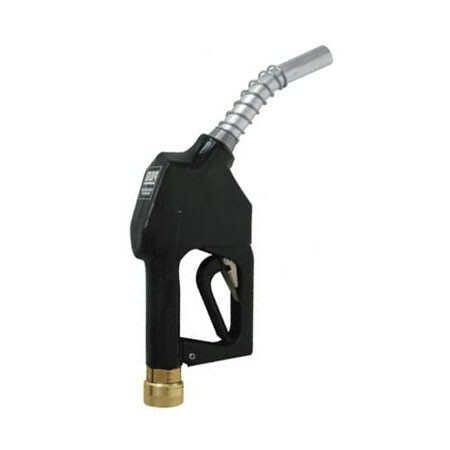 Delivers product at rates up to 30 GPM. .
GPI 906009-505 is a 1" NPT Automatic Extreme Temperature Nozzle, UL listed for dispensing fuels.